In an interesting bit of news, Square Enix has decided to trademark two properties that will make old-school gamers very happy; Final Fantasy Adventure and Secret of Mana. This might seem odd since there was a recent Secret of Mana remake on PS4, PS Vita, and PC but the fact that Final Fantasy Adventure was also trademark could mean that either a.) Adventures of Mana for mobile devices and PS Vita is coming to other consoles or b.) that Mana collection on Switch is getting a Western release. For those unaware, the Secret of Mana series was re-released on the Switch in Japan as the Seiken Densetsu collection. This collected all three of the classic JRPGs in one neat package and fans are still angry over the fact that these games did get a Western or worldwide release. If this does get a Western release, it would be big news. 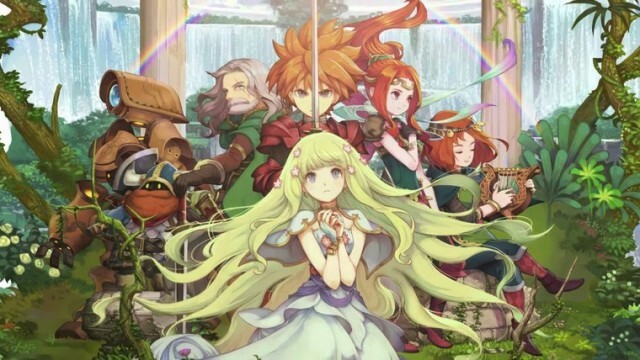 Another possibility is that the remakes of Adventures of Mana (Final Fantasy Adventure) and Secret of Mana are coming to the Switch or other consoles aside from the PS4 and PS Vita. Both remakes did get mixed reviews from critics, though the games are still considered playable and fun from fans of the series, which could be due to nostalgia. With Square Enix owning the IP of these games and them bringing a couple of Final Fantasy titles to the Switch, it would be nice to see the Mana games get that attention. Here’s hoping that happens.